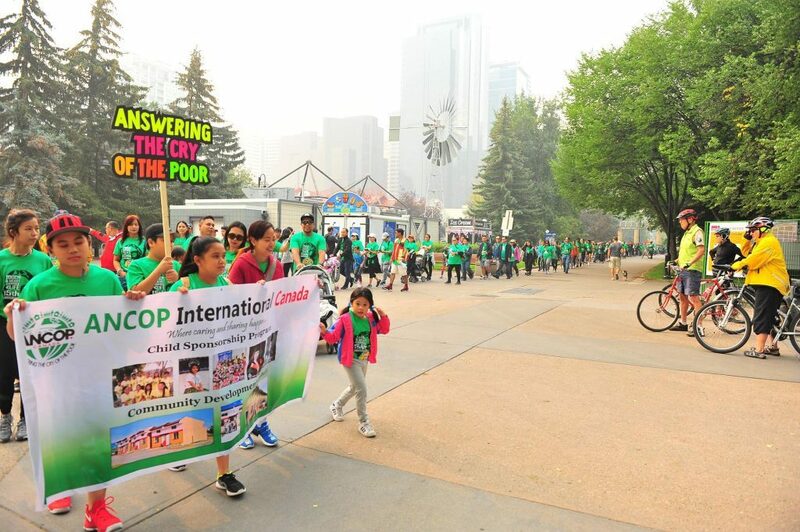 To celebrate ANCOP Canada’s 15th year anniversary, Calgary’s walk was in YMCA/Eau Claire area in downtown Calgary. 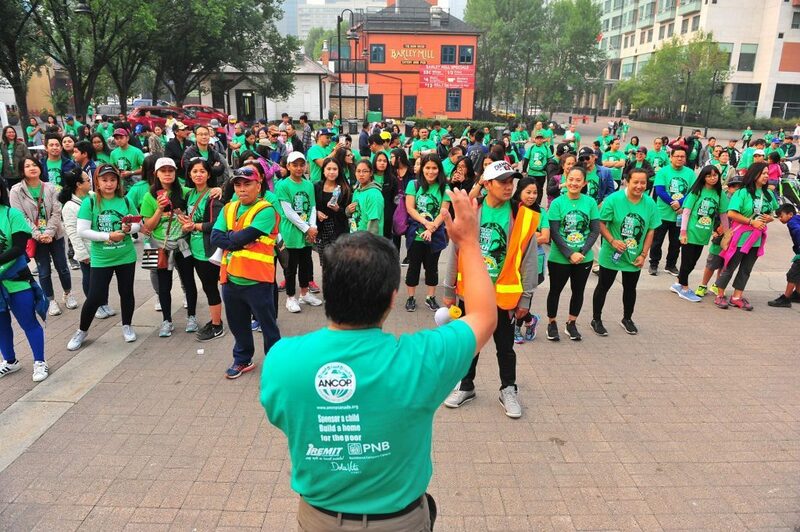 The ANCOP Walk is the largest single day fundraising event of ANCOP Canada. 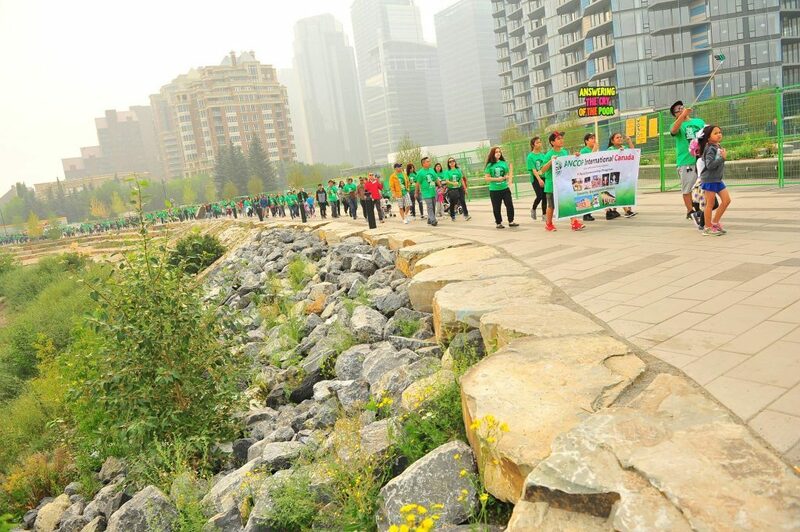 This year, the Calgary ANCOP Walk has attracted over 800 participants. Some of the participants came from the mission areas of Olds, Okotoks, Airdrie and High River who all came to be part of this great cause. 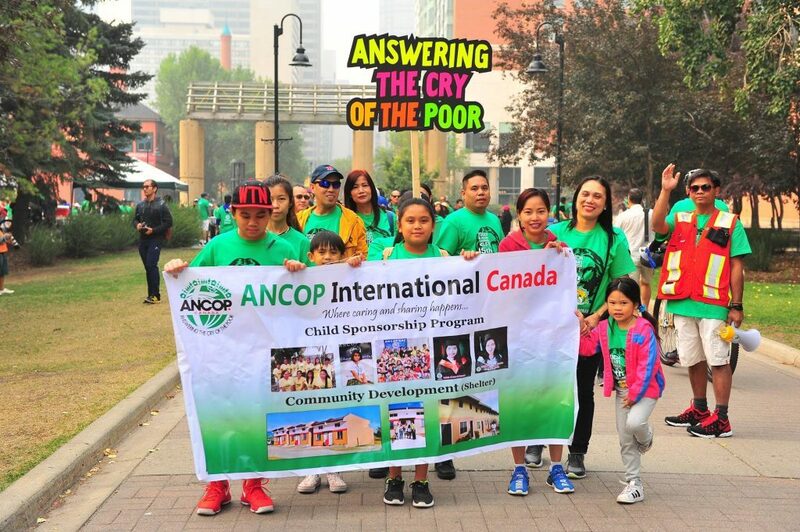 All our brethren from kids, youth, singles, handmaids/servants of the Lord and couples were one heart and mind – to support ANCOP and its programs for the poor and the homeless. 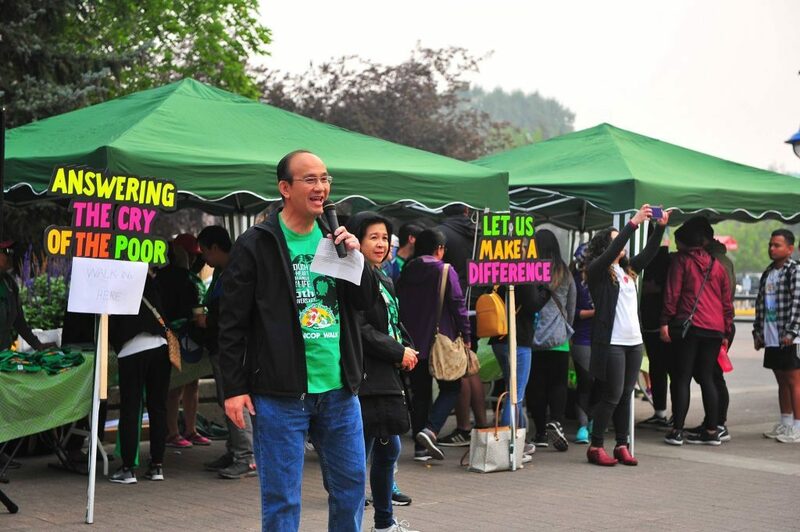 The walk event continued to bring together an incredible community of people, families, friends, supporters, donors, sponsors who want to show their support and the opportunity to join together in making a difference. 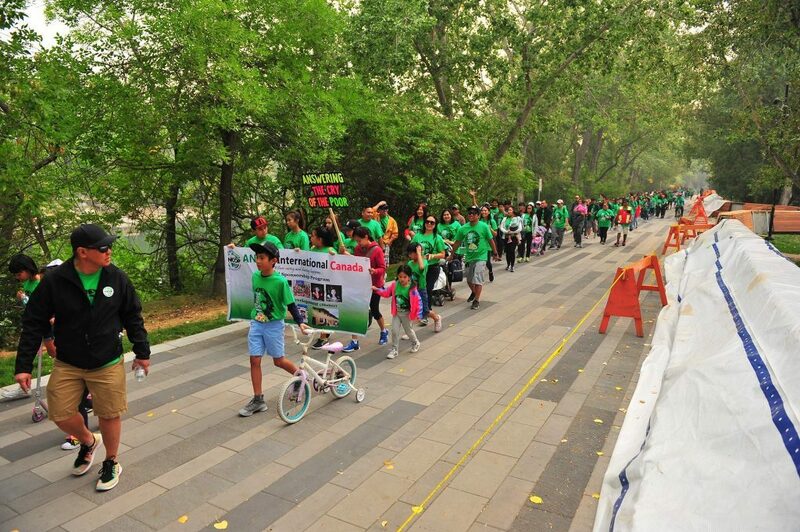 Even the chilly morning and hazy weather condition, was not an obstacle for the ANCOP Walk event. 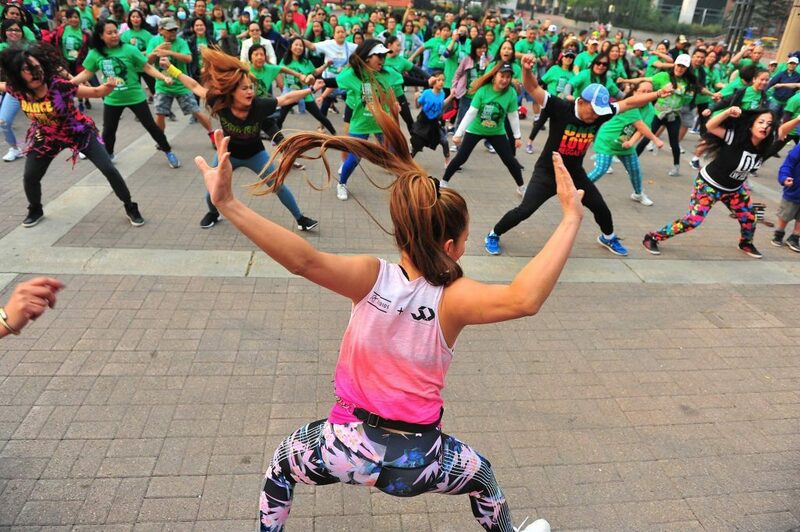 The Zumba warm up from Regine Tolentino brought excitement, fun, laughter and happiness. Everybody seemed to be star struck with her beauty and dance moves. The CFC wives prepared and donated homemade baked goods for ANCOP. Our generous sponsors added more enthusiasm with their giveaways e.g., selfie stick, $600 prepaid cards from mastercard and 5 free massage certificates worth $160 per couple. Truly, August 18, 2018, Saturday was an inspirational day that created significant memories and happy moments for everybody. Everybody went home happy and joyful in having fulfilled the mission of ‘Building the Church of the Poor’.